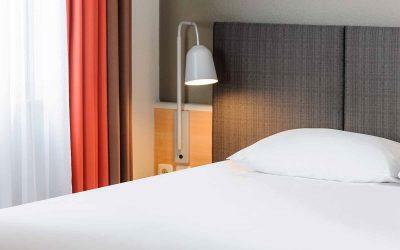 The 162 soundproofed Standard Rooms at 2-star ibis Hotel Bremen City promise a relaxing, restful sleep in downtown Bremen. Not far from Bremen’s old town and central station, ibis Hotel Bremen City standard rooms welcome you with the newly developed “Sweet Bed by ibis” beds. A functional desk and the free WiFi serve as your office on the road. The Flat Screen TV entertains you with international TV channels.